Oh my, this pumpkin spice brown butter frosting is delicious enough to just eat on its own. Not that I would know or anything! ;) It is fantastic. It is the perfect complement to Pumpkin Spice Muffins, cookies, or anything else that may require frosting. 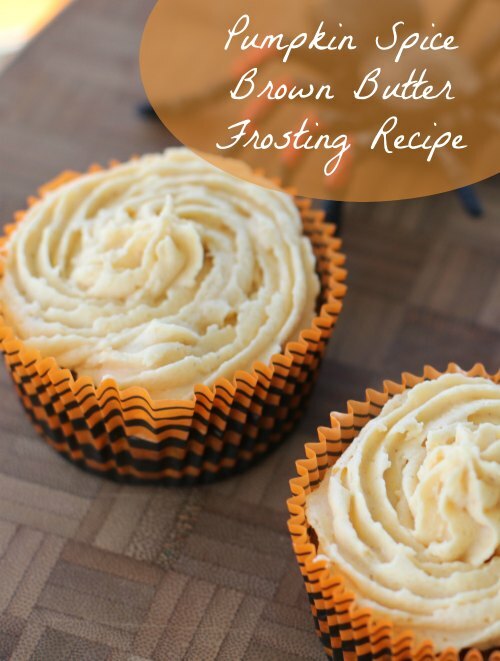 Oh, Pumpkin Spice Brown Butter Frosting, how I love you! You don’t have to have a stand mixer for this recipe but having a nice mixer like my KitchenAid Stand Mixer makes this recipe much easier to make. Melt two sticks of butter in a small saucepan over low to medium heat. Cook until brown is slightly brown with a nutty smell. In a stand mixer, beat together remaining butter,until creamy. Add in brown butter. 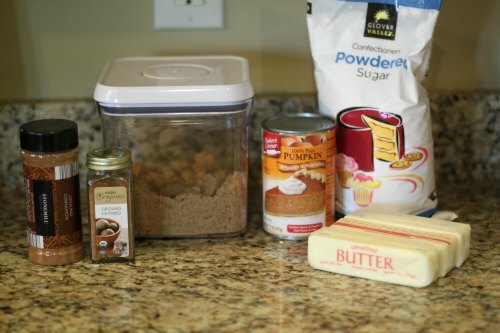 Add pumpkin, cinnamon, nutmeg. Slowly add in powdered sugar until thick and creamy.